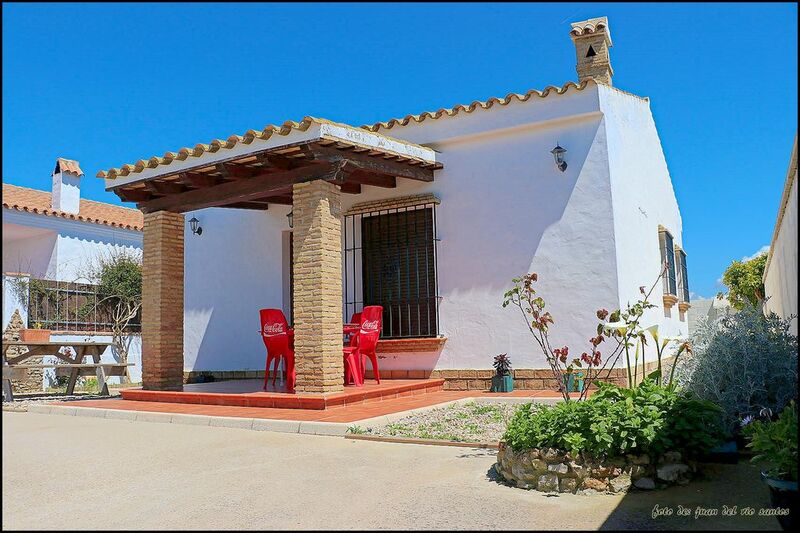 Holiday villa for rent with lovely garden and a recently constructed pool, perfect for a family with children or people looking for peace and quiet in the Conil de la Frontera area. The maximum capacity is for four people. The property consists of two bedrooms, bathroom, fully equipped kitchen and lounge. Outside there is a covered porch, olive trees and a small private pool. A great area to relax and enjoy the peace and quiet. Parties and loud noise are not permitted in this property. From the area where the house is located it takes about three minutes to drive to town, the local beaches are all around eight or nine minutes away in the car, such as: Cala de Aceite, Cala de Roche, Roche beach, Fuente del Gallo and la Fontanilla. It´s also a great base to explore the other towns of the province of Cádiz. La verdad es que no hemos estado mal, Lucrecia la mujer muy agradable y admite mascotas, pero el sofa del salón era incomodisimo, el colchón de la cama de matrimonio dejaba mucho que desear era de goma espuma y tenía muy pocos accesorios de cocina, por otra parte una barbacoa estupenda y la piscina muy pequeña pero se está bien y muy limpia. El SOFÁ ERA UN MUY MUY INCÓMODO Y LA CAMA DE MATRIMONIO TAMBIÉN.